HARLEM — A Bronx grand jury declined to re-indict Richard Haste, the police officer charged with manslaughter last year for fatally shooting unarmed teen Ramarley Graham in the bathroom of his own home. The original manslaughter indictment against Haste was dismissed in May by Supreme Court Justice Steven L. Barrett, who ruled that prosecutors from the office of Bronx District Attorney Robert Johnson erred when they instructed the grand jury that it did not have to consider communications other officers gave Haste that Graham, 18, had a gun. The news comes as a surprise. Police Benevolent Association President Patrick Lynch said he had expected Haste to be re-indicted after the first manslaughter indictment was dismissed. 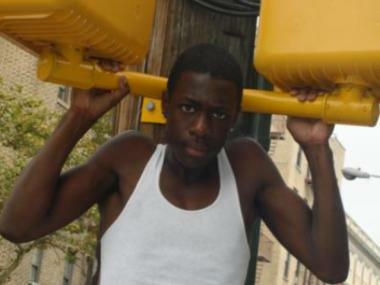 Ramarley Graham was killed by police Feb. 2, 2012. “When the second grand jury was presented with all of the evidence and was issued the proper instructions in deciding the case, they courageously came to the right and proper decision," he said in a statement. "This grand jury recognized that police officer Haste was pursuing what he had every reason to believe was a man with a gun. He was facing the same imminent danger that all police officers face as we fight to rid our neighborhoods of dangerous, illegal guns." Haste's attorneys have said that the officer was told several times by fellow officers that Graham had a gun. Those communications helped determine his actions that day, Haste's lawyer Stuart London has argued in court. The grand jury, which included testimony from Haste, wrapped up Wednesday, according to sources. In an email, the Graham family said the news has left them reeling. "I cannot believe the system is allowing Richard Haste, who killed my son in the bathroom of his own home, to go home to his family and be able to look into their faces and smile," read the email that Graham's parents Constance Malcolm and Franclot Graham used to communicate with supporters. "The justice system is making the same mistake again. I am in a state of shock that with all the evidence put in front of the grand jury, they had the nerve to let my (son's) killer off." On Feb. 2, 2012, officers from a special narcotics unit chased Graham from White Plains Road and East 228th Street to his home at 749 E. 229th St. in Wakefield because cops investigating a drug deal believed Graham had a gun in his waistband. Johnson's office said it vehemently disagrees with Barrett's assessment that the misstep in instructing the grand jury was enough to "impair the integrity of the grand jury proceeding." But rather than appealing the judge's decision, Johnson decided to present the case to another grand jury — a move the Graham family supported. Johnson expressed disbelief at the outcome of the grand jury proceedings in a statement Thursday morning. 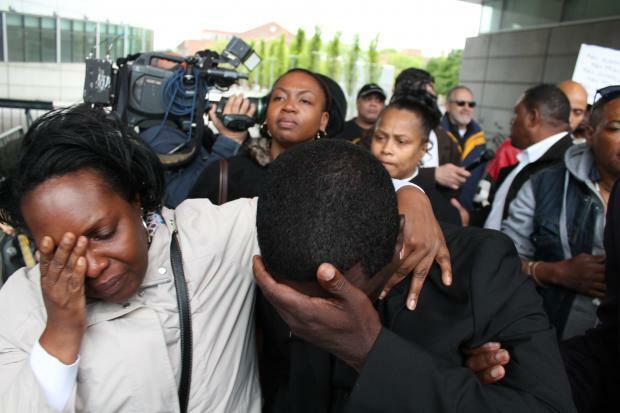 “We are surprised and shocked by the Grand Jury’s finding of no criminal liability in the death of Ramarley Graham. We are saddened for the family of the deceased young man and still believe that the court’s dismissal of the original indictment was overly cautious," the District Attorney said in a statement. Carlton Berkeley, a former New York City police officer and Graham family friend, left the family's Wakefield house Wednesday night and said the teen's parents are once again in mourning. "It's like they are killing him all over again," Berkeley said. "We have no confidence whatsoever in the Bronx District Attorney's office handling a case like this. We all know that in New York you can get an indictment against a ham sandwich," he added, referencing a famous quote credited to former New York State Chief Judge Sol Wachtler. Bronx Borough President Ruben Diaz Jr. said he was "extremely shocked" by the grand jury's decision and called on the NYPD to take action against Haste. "I am especially sorry for the Graham family, who has seen their quest for justice for their son twice denied," said Diaz. "The NYPD must now pursue departmental charges against Officer Haste. Whether criminal or not, his reckless actions led to the death of Ramarley Graham, and the police department needs to take a serious look at his qualifications to serve our city," added Diaz. The Graham family said that they will not rest until they "get justice for the injustice that was done to" their son. They plan to rally in front of Johnson's office Thursday afternoon.